Like with many areas of workers’ compensation law, disputes have arisen regarding whether employees injured in car accidents are entitled to workers’ compensation benefits. The issue becomes whether their driving is work-related. This is known as the “going and coming” rule and provides that workers are only entitled to workers’ compensation once they arrive at their job, and the entitlement ends when they leave work at the end of the day. This means that workers are not entitled to benefits if they got in a car accident while commuting to and from work or while running a personal errand during their lunch hour. For many people who work at the same location each day for their entire work shift, the issue is pretty clear cut. But for others, questions can arise as to whether or not they are driving for work. 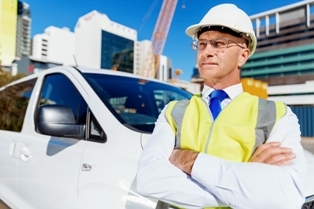 Workers in certain professions, such as construction workers, delivery drivers, vehicle drivers, and salespeople, drive while on the job and could be more likely to be involved in a work-related crash and to have disputes regarding their entitlement to workers’ comp benefits. To make matters more complicated, there are exceptions to the “going and coming” rule. Commuting in a company car. In some situations, commuting in a company-owned car may entitle a worker to workers’ compensation benefits. This could be especially true when the vehicle has the company’s logo emblazoned on it as it could be argued to be a moving advertisement. Traveling as part of the job. If driving is part of a worker’s job, such as bus drivers, truck drivers, and police officers, injuries caused in an accident while doing these duties would be considered work-related. However, commuting to and from work or doing a personal errand on a break would still fall within the “going and coming” rule. Traveling between multiple job sites. When workers have to travel to multiple job sites during the course of their day, their driving is often considered related to their job. Many employees, such as construction workers, computer technicians, managers, and landscapers, must travel between work sites on a regular basis. If they are injured in a vehicle collision while doing this, they may be entitled to workers’ compensation benefits. Commercial travelers. In general, employees traveling for their work are considered on the job the entire time they are gone. This means that even though they may be attending an out-of-town conference for eight hours of the day, they would still be considered working during the rest of the day and night of their business trip. Special mission. If an employee is commuting to and from work but interrupts his regular route to conduct a work task or something for his supervisor, this can fall within the special mission exception. A special mission can involve tasks like picking up something work-related or personal, filing or mailing a document, or some other favor a supervisor asks the employee to do. Outside of regular business hours. If a worker’s job requires him to perform duties after hours, for example be on call, he may be entitled to workers’ comp benefits if he is injured in a car crash during this time period. After-hours visits to the job. While visits to the job to see coworkers when not scheduled to work are generally not covered under workers’ comp, they may be covered if the supervisor knew about the visit and implicitly consented to it. Sidewalks and parking lots. If the employer owns or exercises some control over a parking lot or sidewalk, like paying for maintenance or landscaping, an injury going from or to a worker’s vehicle at the beginning or end of a work shift could be covered under workers’ compensation. If you were injured in a vehicle accident, do not assume it is not covered under workers’ comp if there is any connection to your job. Call me at 877-360-0183 to schedule a free, no-obligation consultation to learn about your rights under New Jersey’s workers’ compensation laws and possible claims against the negligent driver.